 A new lava flow has appeared from the summit crater of Fuego volcano and is traveling towards Trinidad canyon and about 300 m long. Weak explosions occur from time to time as well, with plumes rising only a few 100 meters. The current seismic signal shows an increase of activity over the past hours.